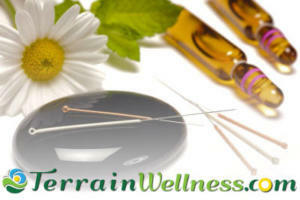 Terrain Wellness is an Integrative Medical Practice in Portland, Oregon. Although many commonly refer to a naturopathic doctor (ND) as a Naturopath, our physicians are Oregon licensed primary care physicians who can write prescriptions, order labs and interpret diagnostics while also treating the body holistically. It should be noted that although our doctors do have prescriptive rights, we prefer to use natural remedies and techniques that work to balance the body naturally whenever possible. Our physicians are also licensed acupuncturists, giving Portland, Oregon the best of naturopathic medicine and Chinese Medicine (acupuncture). Our naturopathic treatment philosophy here at Terrain Wellness means that we strive for each patient to reach a state of wellness wherein medications become unnecessary. 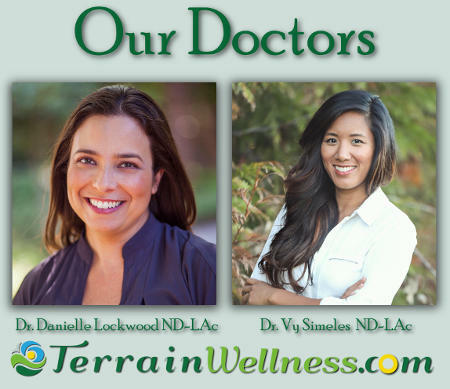 Naturopathic doctors, Dr. Danielle Smith Lockwood and Dr. Vy Simeles, are Oregon licensed primary care physicians with full prescriptive rights. 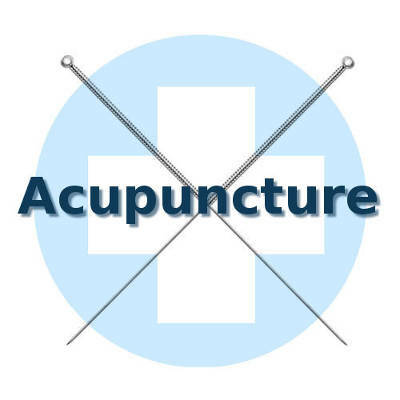 Additionally, Dr. Lockwood and Dr. Simeles are also licensed in acupuncture (Chinese Medicine). As both doctor and acupuncturist, our physicians understand how medications, herbs/supplements, foods and lifestyle influence overall health. Isn’t it time you learned how acupuncture, naturopathic & integrative medicine can improve your health? Call to book an appointment and get started on the new “you” that you’ve always dreamed of. At Terrain Wellness, our treatment philosophy follows naturopathic and Chinese Medicine acupuncture principles; this means that our doctors address patients’ acute medical concerns while also alleviating the deeper emotional and spiritual elements of illness. Being both a naturopath & licensed in acupuncture involves treating a diverse range of patients suffering from conditions including chronic/acute pain, hormone imbalances (thyroid, estrogen dominance, adrenaline & cortisol and testosterone), complex headache patterns, infertility, traumatic brain injuries, addictions, emotional disorders, gastroenterological disorders and autoimmune disorders. We address these specific conditions while also alleviating the deeper emotional and spiritual stress components of why we are more prone to illness in the first place. We prefer natural medicine and spend longer with our patients because taking extra time leads to better quality service. Being a naturopath in Portland means defining ‘wellness’ as being healthy physically, emotionally and spiritually. We invite everyone in Portland, Oregon to share in our vision. From an acupuncture and Chinese medicine perspective, each person is a microcosm unto themselves and all aspects of the body can work together toward a totality of health and life fulfillment. Rather than focusing on masking symptoms or being a quick-fix, Doctors of Integrative Medicine use an approach that blends the best of Naturopath, Acupuncture and herbs all cooperating with western medical doctors toward the goal of giving our patients a happy & fulfilling life. Some people in Portland, Oregon may refer to Terrain Wellness’ doctors as “Naturopath” but this is an understatement. 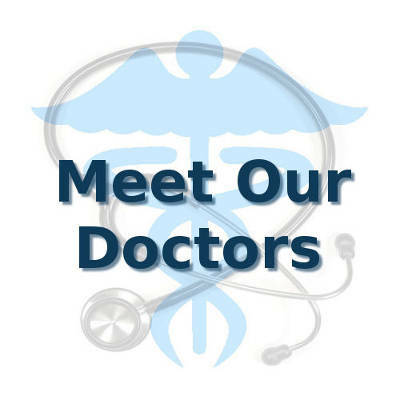 Doctor Danielle Smith Lockwood and Dr Vy Simeles are licensed primary care doctors in the State of Oregon and are also licensed acupuncturists. In addition to naturopathic and acupuncture, our doctors also use the chiropractor-developed technique known as Applied Kinesiology as a diagnostic and treatment modality. If you’re ready to have a licensed primary care physician and practicing Naturopath in Portland, Oregon who will take the time to help you discover the physical, emotional and spiritual aspects of healing then please book an appointment with Doctor Danielle Lockwood or Dr. Vy Simeles today. Learning the “Terrain” that makes up who you are is a lifelong process that involves everything from what types of foods work best with your personal health all the way to the kinds of activities that expand your spirit and personality. Naturopathic medicine and acupuncture in Portland are more than just medical treatments, this is a lifestyle of moving toward a greater knowing of the self allows us to have healthier lives and more rewarding interactions with others. We look forward to helping you map out your own terrain and discovering more about yourself through acupuncture, applied kinesiology and naturopath services. Rather than alleviating various symptoms, our role as Naturopath in Portland means that we believe a better way forward often lies in increasing self-awareness and finding out what supports greater health and wellbeing. Terrain Wellness proudly offers IV Therapy (Intravenous Nutritional Therapy) for established patients at our Portland, Oregon naturopathic medical clinic. Our doctors prescribe IV Therapy on a case-by-case basis after reviewing relevant health information with the patient. 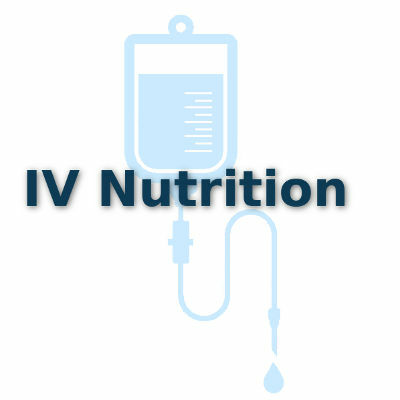 Providing excellent medical care (including IV Therapy) that is custom-tailored for you and your nutritional needs means that we only offer IV as a treatment modality to patients when it is deemed medically beneficial. Prior to prescribing IV Nutritional Therapy, our doctors will review the patient’s current/past medications and allergies, screen for health conditions which may contraindicate IV Therapy and review lab tests as appropriate. Our physicians’ vetting process with patients helps insure that our IV Nutrition, glutathione pushes, B-Complex, B-12 injections, methyl cobalamine (an activated form for patients with MTHFR genetic variants) and many other minerals are indicated for your health conditions and relevant to your specific wellness goals. Rather than having off-the-shelf products like the well-known Meyer’s Cocktail (a common IV for Cold & Flu recovery), we customize our IV treatments specifically to you. At Terrain Wellness, our IV Therapy is administered by a Registered Nurse under a doctor’s supervision. While some Naturopath Portland competitors have medical assistants administer their IV in order to reduce costs, we chose an RN experienced in IV because we want our patients to have the best possible quality and experience with us.